The music video of "Pyramid" was shot at the Orpheum Theatre, in downtown Los Angeles. 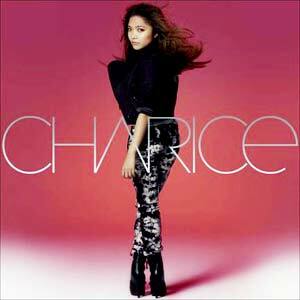 Fans of Charice in the Philippines can grab a copy of her self-titled album starting May 11, 2010. Charice is definitely going global after the release of her single "Pyramid" in which her labelmate Iyaz is featured both in the song and music video. Last April 12, Charice debuted the music video of "Pyramid" in the U.S. through a 24-hour exclusive on Oprah’s official website. The American TV host has been a huge supporter of the 17-year-old singer, and she even tagged Charice as one of the most talented girls in the world. Oprah has reportedly invited the Filipina singer to perform on The Oprah Winfrey Show on May 11 to launch her first international album titled Charice. The video was shot at the Orpheum Theatre, in downtown Los Angeles last March 8. The music video shows Charice holding a microphone as she performs in front of a huge empty theater, implying that she did not make it to the audition call-backs. Iyaz, who is seated in the audience, records her performance using his video phone and shows that his support for Charice will stay forever—just like a pyramid—no matter what kind of storm or earthquake may come their way. Iyaz is behind the international smash hit "Replay," the No. 1 song in United Kingdom and United States for the past months. In the local music scene, Charice’s single "Pyramid" currently holds the No. 1 spot on RX 93.1’s radio chart for three consecutive weeks now. And it is constantly climbing other radio charts in Metro Manila. Also, "Pyramid" has 15 remixes from notable DJs Barry Harris, Jonathan Peters, and Dave Aude. These are currently available for download on Amazon.com & iTunes. Songwriters and producers who worked on Charice’s forthcoming album are David Foster, Diane Warren, Sean Kingston, Billy Steinberg (Madonna’s "Like A Virgin," Cyndi Lauper’s "True Colors," Whitney Houston’s "So Emotional"), Josh Alexander (Jojo’s "Too Little Too Late"), Allan Rich (N’SYNC’s "I Drive Myself Crazy"), Klaus Derendorf (Josh Groban’s "Closer"), Mr. Fantastic (The Cheetah Girls) and Drew Ryan Scott (S. Korean Group Super Junior’s "Sorry, Sorry"). Backed up by the biggest names in the music and entertainment industry, Charice definitely is in for a big ride with her first international debut album. Charice’s international debut album will be available under Warner Music Philippines on May 11, just a day after her 18th birthday. Fans of the young singer can grab a copy of Charice when it hits record bars nationwide. Watch for the premiere of the music video of "Pyramid" on a local music channel this week.